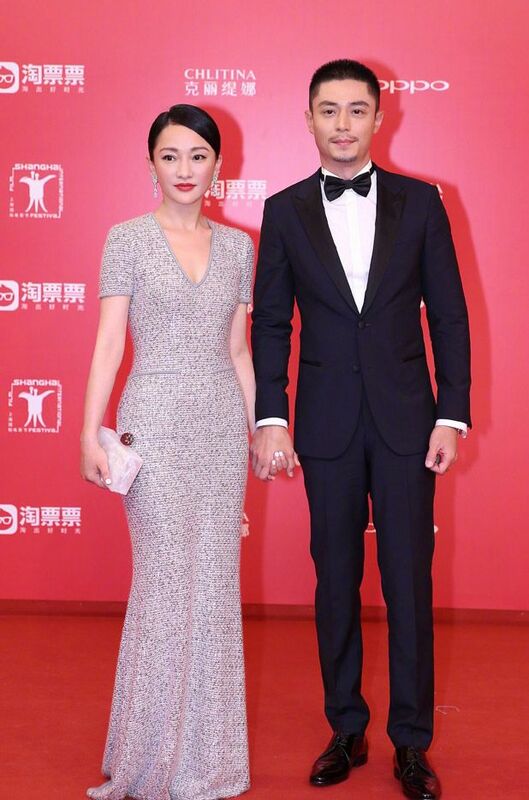 Liu Yi Fei, Yan Kuan, and Emile Hirsch for The Chinese Widow. 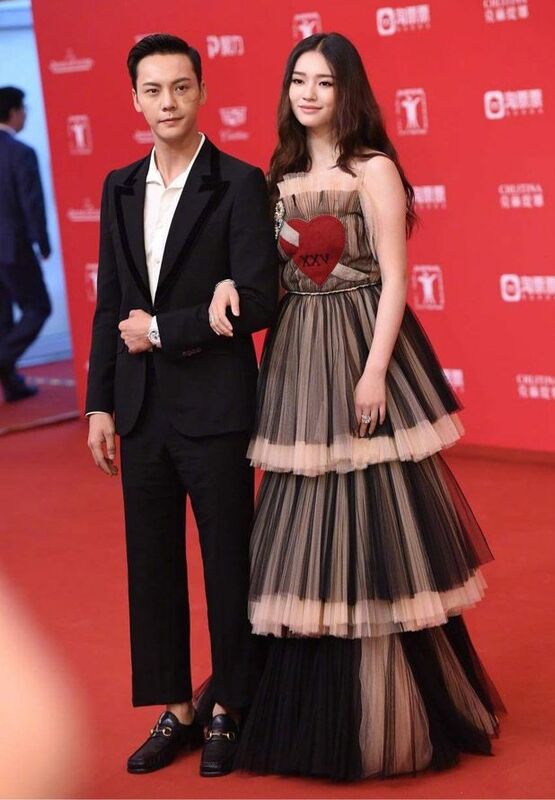 Yang Mi and Chang Chen in Brotherhood of Blades 2. 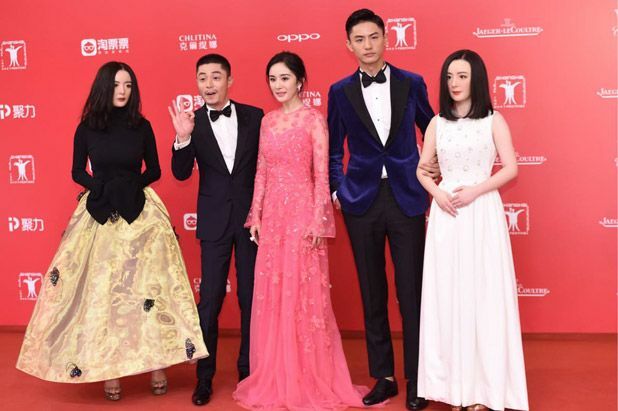 Yang Mi walks again with her crew from the movie Reset, alongside Wallace Huo, Liu Chang, and two YM robots. 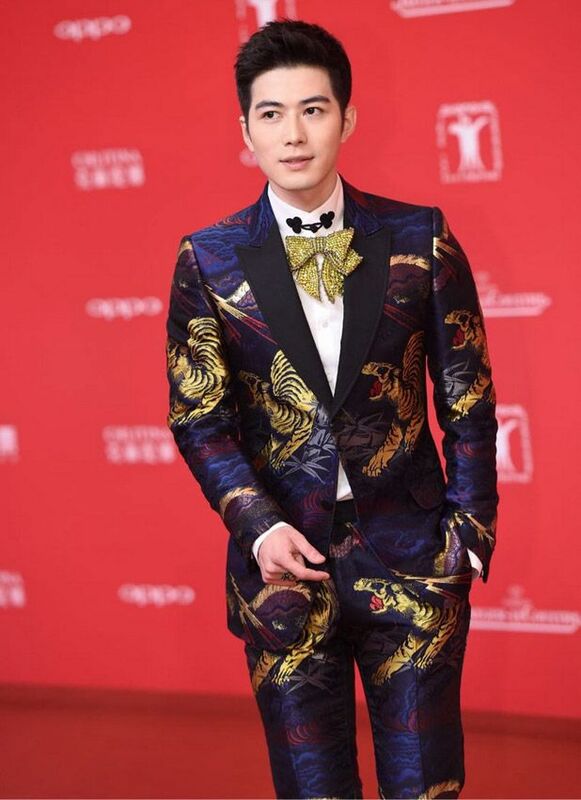 Wallace Huo also walks again with Zhou Xun for Our Time Will Come. 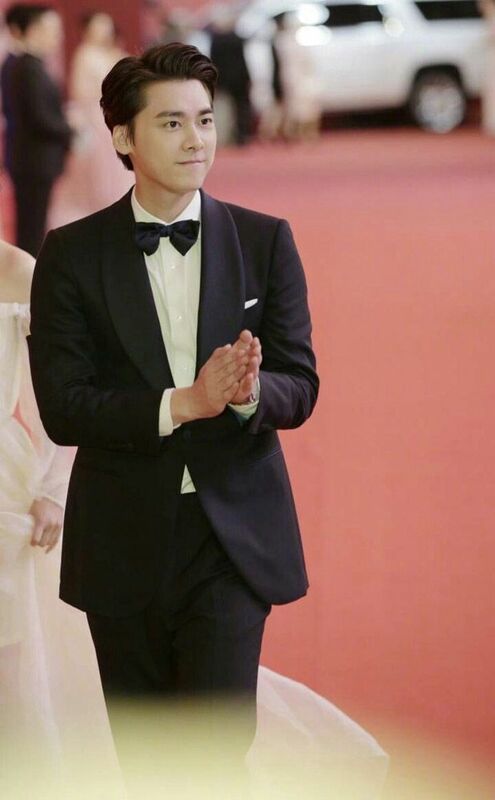 My Eddie Peng is not here…. A little stache does wonders for his face! GAH! What are they talking about that he has to hold his hand? heee! 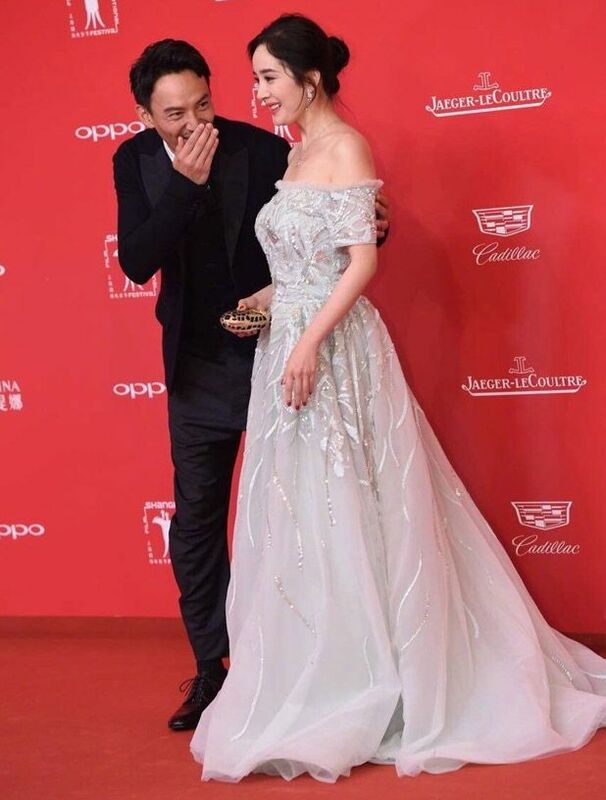 William Chan and Lin Yun for their historical movie, Genghis Khan. Yep, William has a little cut on his face while filming so he’s sporting a band-aid. Japanese movie Roadshow with Aya Ueto and Takumi Saito. Xu Lu for her youth film, Our Shining Days. 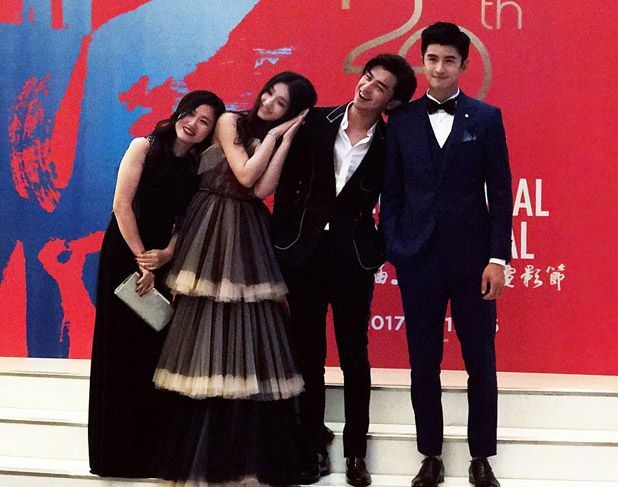 Zhang Tian Ai in Fan Xiao Bing’s arms for Father and Son. She walks again for Legend Of The Naga Pearls. 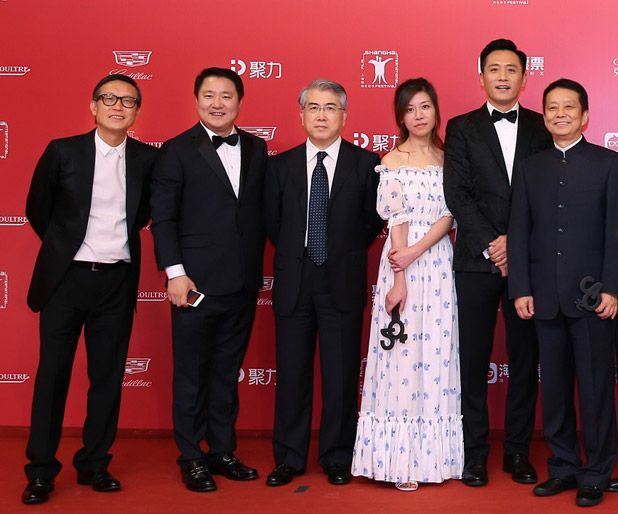 Huang Xuan, director Feng Xiao Gang, and the ladies for Fang Hua. 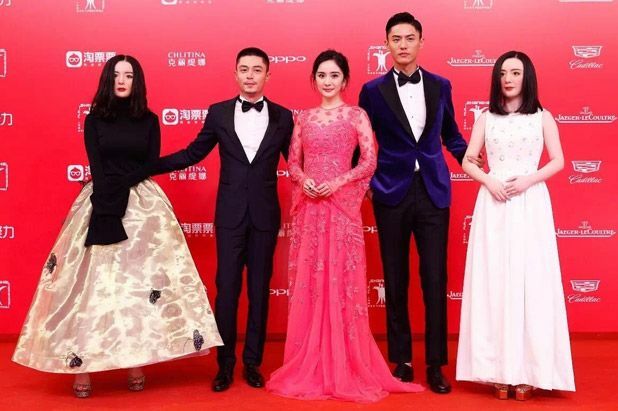 Victoria Song and Xia Yu and crew for Chinese fantasy film, Wished. 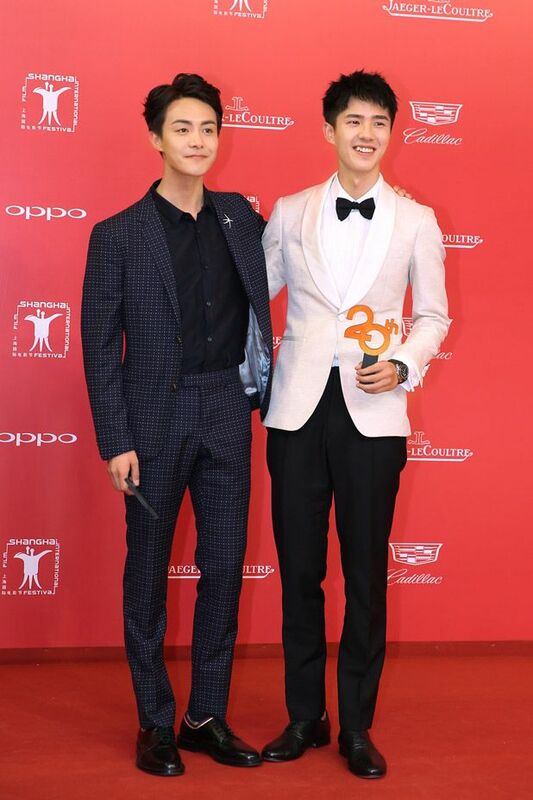 Movie Guilty of Mind with Li Yi Feng and Li Chun. 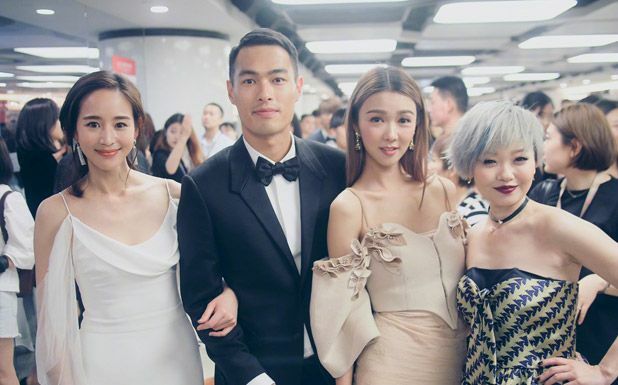 The beautiful ladies from the movie Girls 2; Janine Chang and Fiona Sit. Drug Dealer with Xu Zheng, Eric Wang, Zhou Yi Wei. 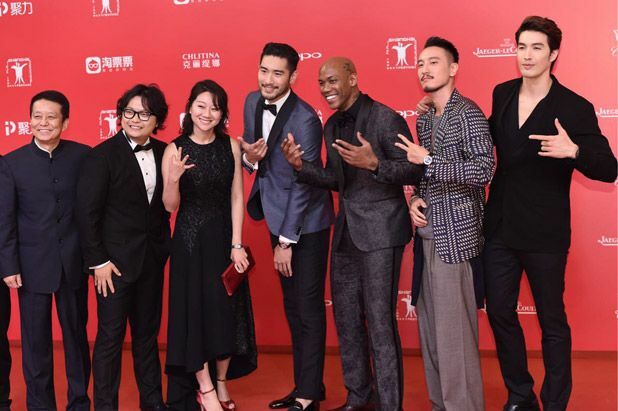 My Other Home with Stephon Marbury, Vivian Dawson, Sunny Wwang, and Godfrey Gao. Movie Guess Who I Am with Cheney Chen, Joseph Chang, Kwai Lun Mei, and Jiang Meng Jie. Guns and Kidneys with Johnny Huang Jing Yu, Sean Zhang, and Zhang Lan Xin. 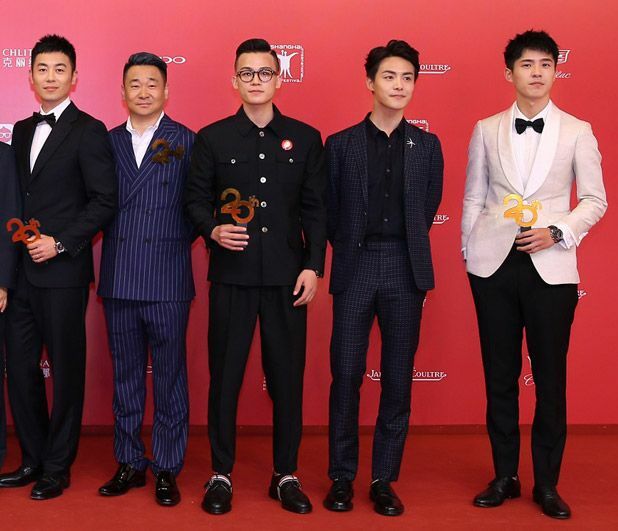 Fist & Faith cast with Oho Ou, Kento Hayashi, and Ding Guan Sen. Awww Jing Tian is not there. Miss Xu Qing like a royalty in blue as one of the festival judges. 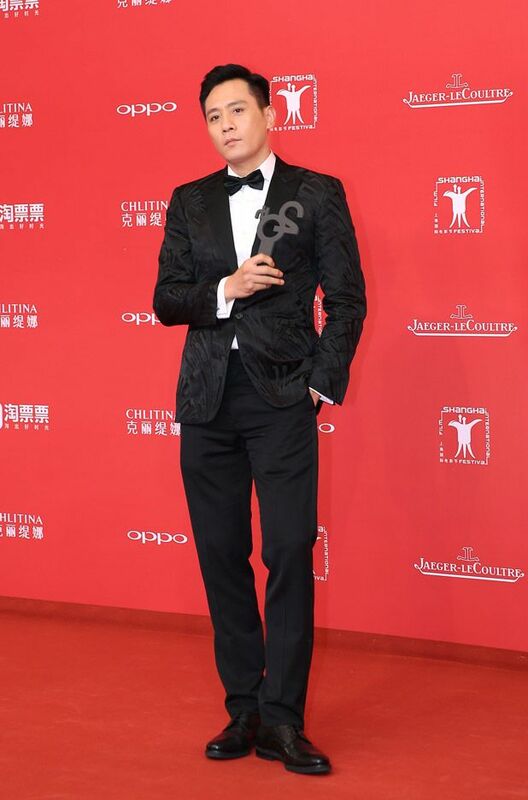 Charmaine Sheh, Julian Cheung, Louis Koo, Charlene Choi and Gordon Lam for Accompany You. 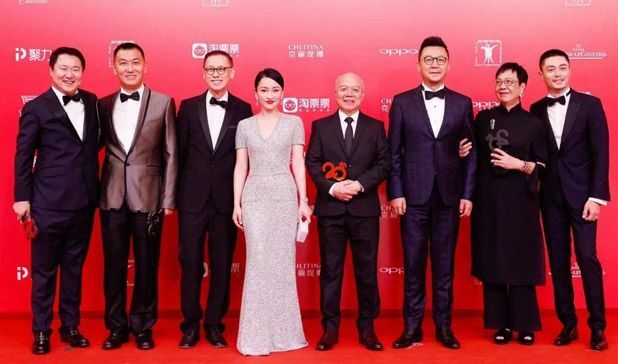 Stephen Fung (director role), Tony Yang, Zhang Jing Chu for The Adventurers. 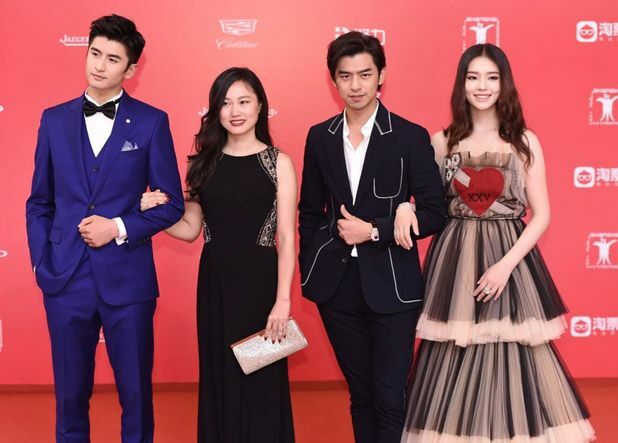 Movie The Dreaming Man (Miss Taken) with Bolin Chen, Zhang Yun Long, and Lin Yun. 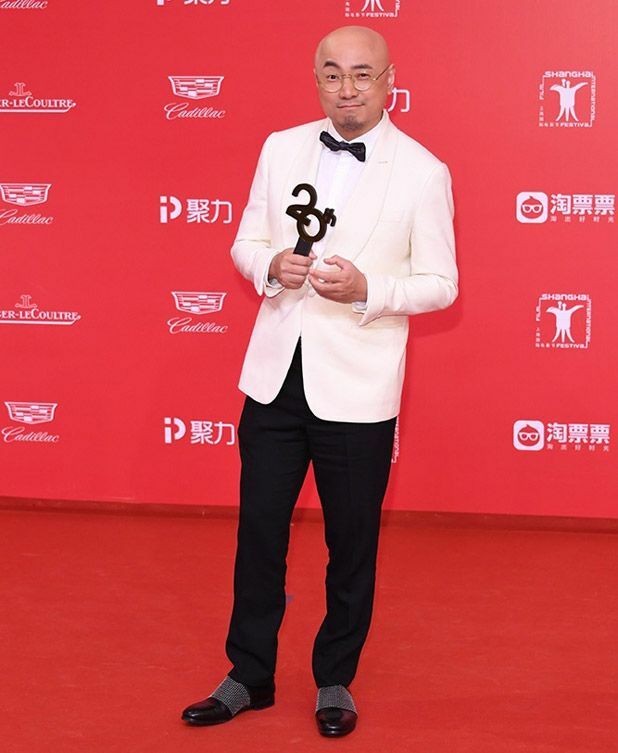 This entry was posted in Entertainment News and tagged Accompany You, Aya Ueto, Bolin Chen, Brotherhood of Blades 2, Chang Chen, Charlene Choi, Charmaine Sheh, Cheney Chen, CMovie, Crystal Liu Yi Fei, Crystal Zhang Tian Ai, Ding Guan Sen, Eric Wang, Evil Minds (心理罪), Feng Xiao Gang, Fiona Sit, Fist & Faith (青禾男高), Godfrey Gao, Gordon Lam, Guns and Kidneys, Huang Xuan, Janine Chang, Jelly Lin Yun, Jiang Meng Jie, Johnny Huang Jing Yu, Joseph Chang, Julian Cheung, Kento Hayashi, Kwai Lun Mei, Legend of Genghis Khan (战神纪), Leon Zhang Yun Long, Li Chun, Li Yi Feng, Liu Chang, Liu Hao Ran, Liu Ye, Louis Koo, Oho Ou Hao, Our Shining Days (闪光少女), Our Time Will Come (明月几时有), Ray Ma Tian Yu, Red Carpet, Reset, Roadshow, Sean Zhang, Shanghai International Film Festival, Stephen Fung, Sunny Wang, Takumi Saito, The Adventurers, The Chinese Widow (烽火芳菲), The Dreaming Man (Miss Taken), The Founding Of An Army (建军大业), Tony Yang, Victoria Song, Vivian Dawson, Wallace Huo, William Chan, Xu Lu, Xu Qing, Xu Zheng, Yan Kuan, Yang Mi, Youth (芳华), Zhang Jing Chu, Zhou Xun, Zhou Yi Wei, Zhu Ya Wen by Kappy. Bookmark the permalink. It’s funny how for the My Other Home cast, the guys just get taller and taller hahahahaha!!! That height difference with the people on the left is a lot haha! 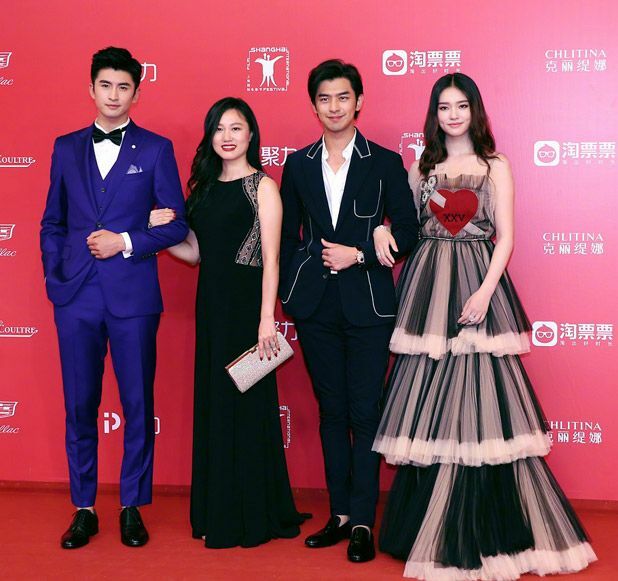 Li Chun and Liu Yi Fei’s dress are both rather underwhelming. Aww where is our Eddie! 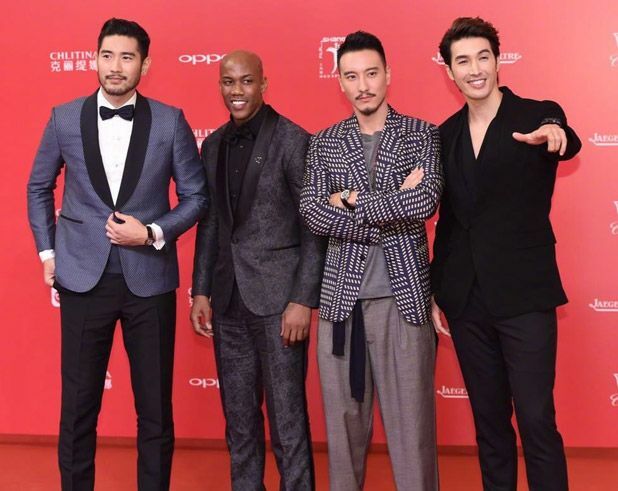 Godfrey Gao and his endless height and legs. They did invite the model boys for this movie. Lol. I saw Stephon Marbury and I had to double check to see if I was seeing things. 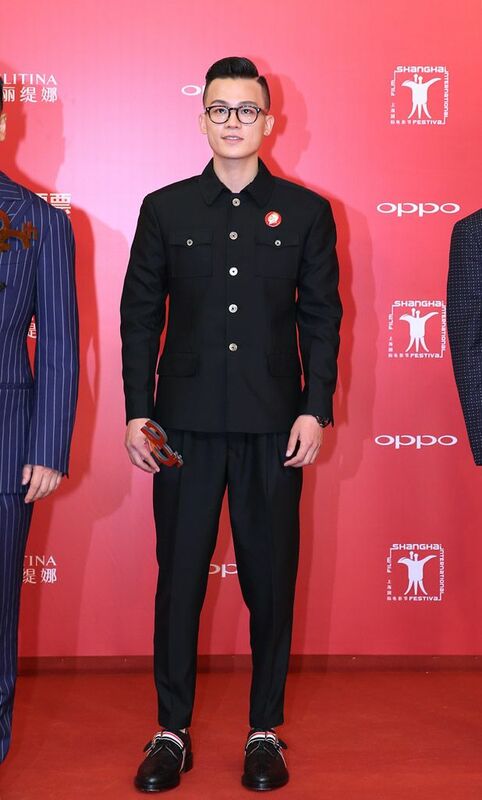 What’s he doing at a film festival? The movie is his own autobiographical movie so he might as well walk too. And he got a green card for China last year. 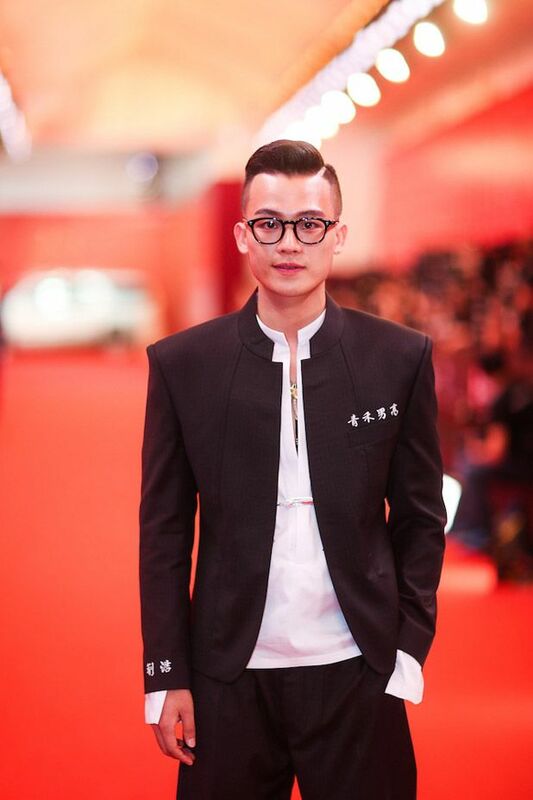 Yan kuan is so handsome! 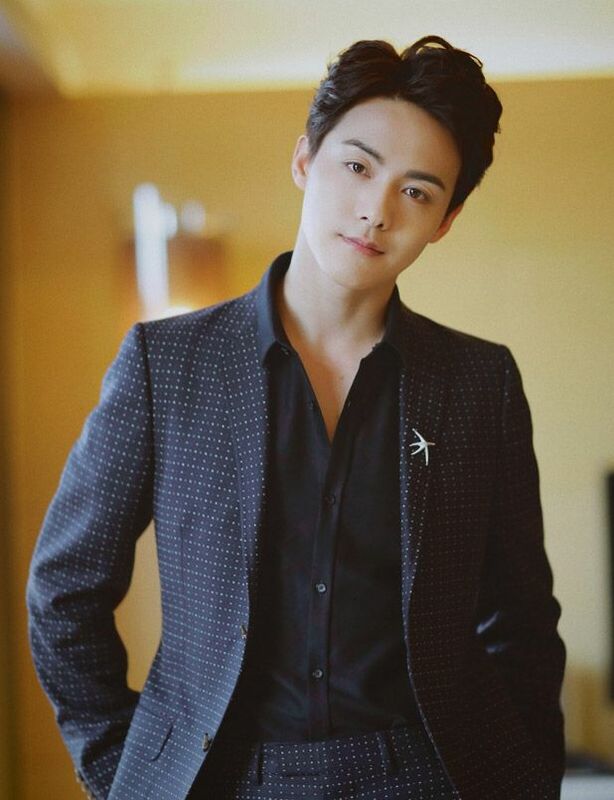 Ma Tianyu is so handsome! 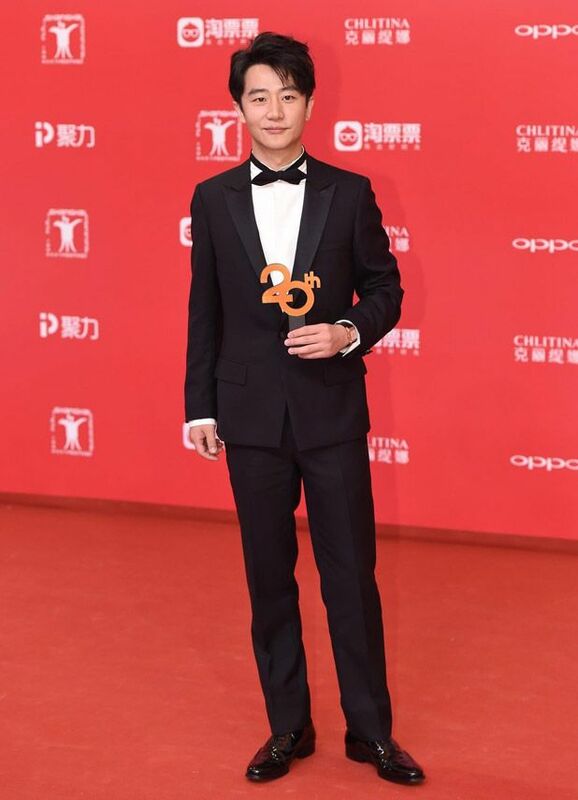 Zhang Yunlong is so handsome! 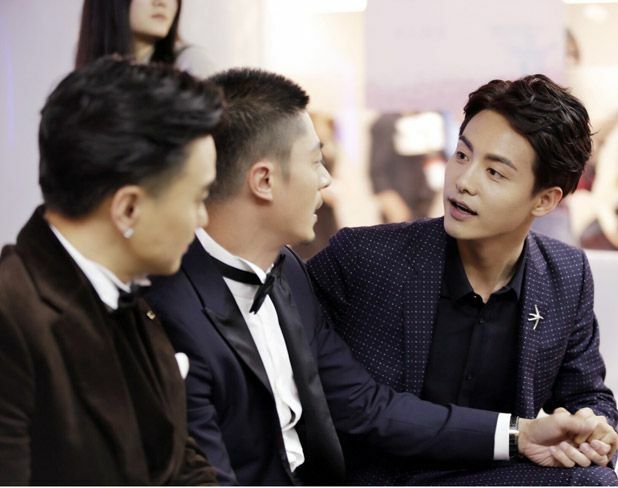 Wonder why Wallace Huo choose to sport the mustache for this event. To look manly ? !